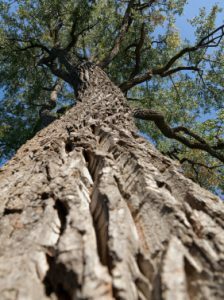 The powdered bark of the slippery elm tree (Ulmus rubra), native to the eastern parts of North America has been used for it's healing properties for centuries. It remains versatile as a herbal remedy, with the ability to help with such ailments as a common sore throat, all the way to more serious conditions such as irritable bowl syndrome. On this page, we'll be discussing it's use and benefits for helping to heal the more and more commonly occurring issue of leaky gut, or leaky gut syndrome (LGS). 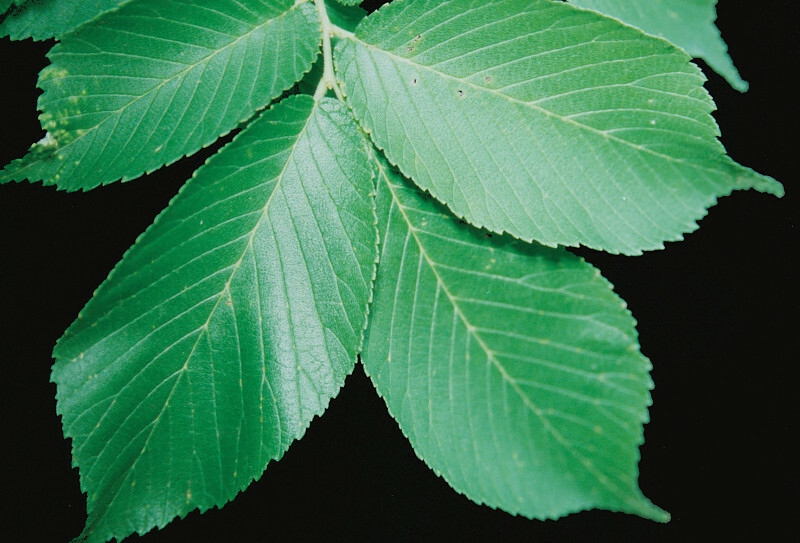 Slippery Elm is also sometimes labeled as Red Elm, Moose Elm, Gray Elm, Ulmus fulva, Sweet Elm, Indian Elm, and Soft Elm depending on which part of the world you're in. The herb has been used traditionally by the native people of Northern America for centuries, if not thousands of years. It was used to create salves and balms, and these could treat a rather wide range of ailments including skin issues like burns, cuts, ulcers, and psoriasis. The natives also used it orally to soothe sore throats and coughs, and help with digestive issues like diarrhea, constipation and stomach complaints. Possibly one of the first documented uses for slippery elm in the west, was during the American Revolution to help dress the wounds of casualties. More recently, slippery elm's benefits for leaky gut and healing LGS have become popular among alternative practitioners, and it's become a commonly used adjunct to other treatments in the overall approach to treating one of the fastest growing western ailments of modern times. Follow on for more information below on specifically HOW TO apply the use of slippery elm powder for leaky gut healing. By the way, before we move on, for those needing a guide which will give them a really good overview of gut health, and fixing gut issues like leaky gut, etc, the number one resource I can recommend right now is John Brisson's book, “Fix Your Gut”. It's a great volume on everything related to working out your gut issues and beginning the healing process. What's The Correct Slippery Elm Dosage For Leaky Gut? Most Doctors and experts advise to take around 1-2 teaspoons mixed with water. You will probably want to do the smart thing, and titrate your dose upwards gradually, starting on something even smaller than the recommended healing dosage. 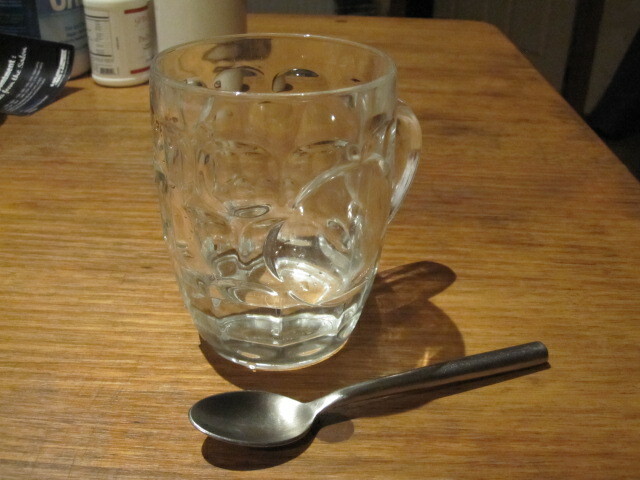 So you could start on 1/2 a teaspoon mixed with about 75-100 ml of warm water, and do that for a week and see how you feel. If you don't notice any negative side effects (which with slippery elm is pretty unlikely I think) then bump it up to 1 full teaspoon for another week, then 1 1/2 teaspoons, and so on. The most common way to take slippery elm powder is simply by mixing it with warm water in a cup or glass, but some people also like to make what has been referred to as a “slippery elm gruel” which is basically like making a porridge. If you use that method, the only real difference is that you're mixing in the slippery elm over heat (on your stove for instance) and you're stirring in the slippery elm and adding liquid as needed (you can even use milk according to some recipes, however I wouldn't, as the effects of slippery elm in terms of it's healing properties on the gut are supposedly the most pronounced when taking it on an empty stomach). 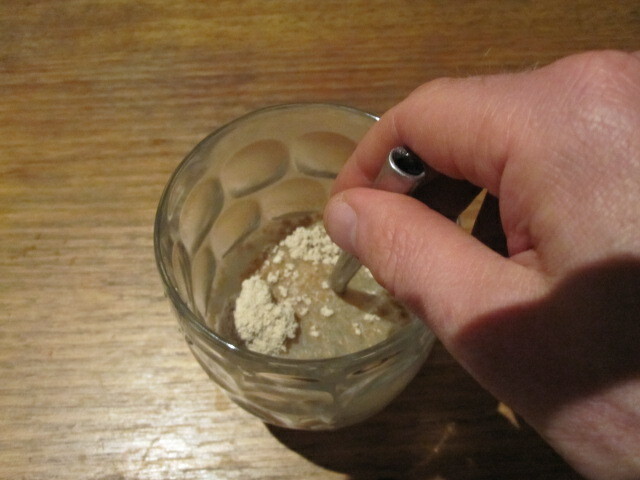 Another possibility is to create your own capsules of slippery elm powder. This would be the preferable method if you really dislike the taste of ingesting slippery elm with any of the other 2 options above. Is Slippery Elm Similar To MarshMallow Root? I've used both, and they are only really similar in their function once you have ingested them. They are made differently, as Marshmallow root tea the way I've made it uses a slow leeching process, where you basically soak your mix of marshmallow root in water for at least 12-24 hours. The taste is completely different (I'm not even going to attempt to describe the taste of Marshmallow root tea, as it's quite unusual), and slippery elm is much thicker and more gooey in it's texture. Is Slippery Elm Always Good For Leaky Gut? Can It Do Any Harm? When taking any supplement, I think it's important to weigh up the risks against the possible benefits. If the risks are low and the possible advantages high, then usually I'll not really think too much about at least testing a new supplement. I think slippery elm is one of the lowest risk supplements you could take. 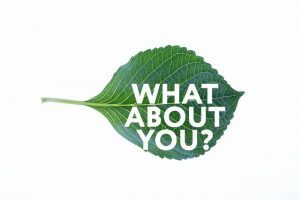 Having said that, if you have a gut dysbiosis issue (an imbalance in the healthy levels of gut flora) then you MAY be contributing to the problem by taking herbs such as slippery elm. If this is your situation, then I suggest you read a book called Breaking The Vicious Cycle by Elaine Gottschall, as it's a great introduction into the idea that diet can so significantly impact the levels of healthy gut flora, and gives you a solid methodology from which you can begin to make healthy adjustments to this area of your diet, if needed. What Time Is Best To Take Slippery Elm To Get The Most Gut Healing Benefits? The best time to take slippery elm according to almost all anecdotal reports, and also from the personal advice of my own practitioner is most likely to be before you go to bed, when you will have no new food coming into your system to be digested. This will give the slippery elm a chance to really layer and sooth your digestive tract, and begin to mend the inflammation likely caused by having a leaky gut. If you're lucky like I was, you'll be able to find slippery elm powder relatively cheaply and easily at your local health food store, or in my case the local food co-op. Quite often the product will be cheap and good value if you can get it this way. When I purchase my slippery elm this way, I am able to get it in any amount, as the supplier purchases in bulk, and so there's no need to get it pre-packaged. If however you have to source it online, then here are a couple of the more well respected versions that have a good amount of positive feedback. 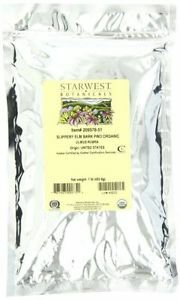 The Starwest brand of slippery elm is available here on Amazon.com. Slippery elm powder is most easily consumed by simply adding the powder to some warm to hot water, and then quickly mixing it in before it becomes lumpy. There's a little bit of an art to it, but once you've done it a couple of times you will likely find it very easy. I've compiled this quick pictorial walk-through guide below to make it super easy for anyone wanting to make a slippery elm mix. By following the below step by step guide, you should have no trouble understanding how to take slippery elm for the process of healing your leaky gut. Use a large glass or mug to make it easier to mix without spilling and making a mess. Add about 100 ml of cold water, if you want to do it my way, or you can just use 200 ml of warm to hot water, but I like to use purified water, not from the mains tap. 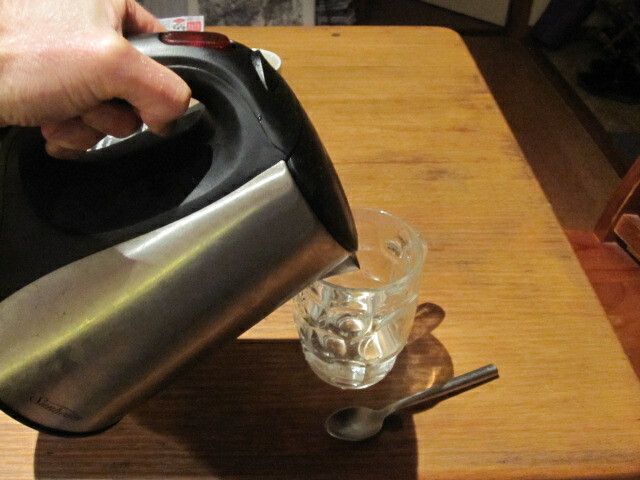 Using my method, to the cold water, add in your 100 ml of boiling water to make a total of around 200 ml in your cup/glass. 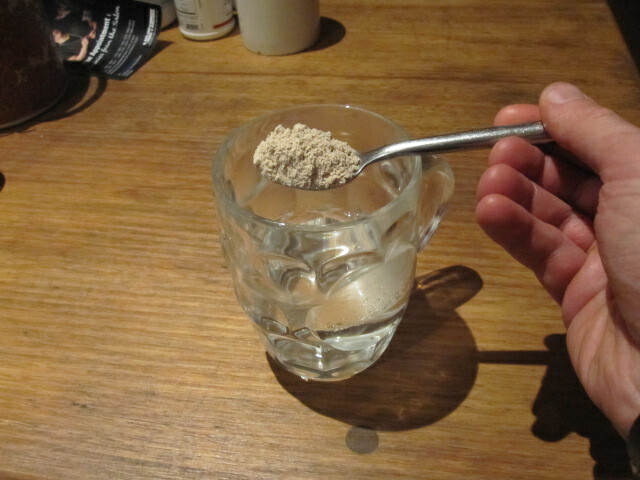 Get your dosage of slippery elm powder – I am using about 2 teaspoons here to go with roughly 200 ml of water, so adjust accordingly depending on how much water/powder you want to use. Also you may like to make it slightly thinner or thicker than the consistency that my recipe yields, as shown further down below. Drop the powder straight into your warm/hot water, and begin mixing immediately to prevent the formation of lumps in your mix! Be Sure to stir really fast, otherwise you may get lumps, and they're usually not too tasty to have to chew on. 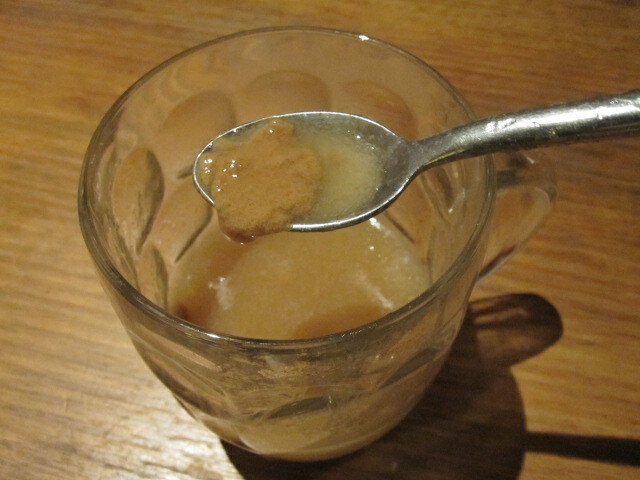 Your slippery elm tea/mixture should look similar to the consistency of my own below. If it doesn't and it's a bit more liquidy, then let it sit for 2 to 5 minutes. If it's still not as thick as you see it below, then your mix quantities were probably slightly off. You want it fairly thick, but not so thick that it's hard to drink. If you leave it too long without mixing it thoroughly (which can happen very quickly) you'll get big chunky lumps like this one shown below. So be sure to mix immediately, and vigorously. That's some good looking Slippery Elm Tea right there! Rinse and repeat this basic mixture a couple of times and you'll work out exactly the way you like it in terms of consistency, etc. 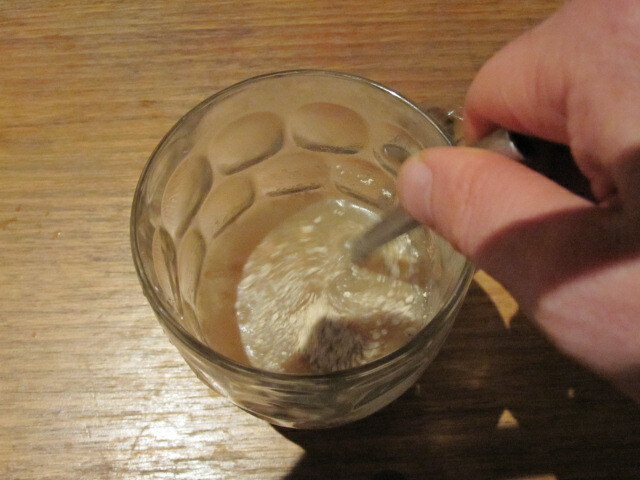 It's really a very simple “tea” to make, there's very little complexity going on here. Slippery Elm powder was one of the first things that my integrative practitioner recommended I start supplementing with for healing my leaky gut issues. I'd never even really heard of it up until this point. According to my Doctor, the powdered herb is one of the simplest and most effective ways of healing the gut. I was able to source it locally, and cheaply, and so got started with it pretty quickly after the recommendation. I started using slippery elm as part of my daily protocol for addressing leaky gut, taking it just before bed, dosing 1 1/2 teaspoons with about 200ml warm water, as shown in the walk-through guide above. I immediately liked the taste, it's a very earthy flavor, and personally I love the texture of it. I noticed that it helped my visits to the loo, and improved my stool formation. My usage experience with the herb however remains a little too short to really be able to fully validate whether it's results were of consistent benefit. I'll be updating this page when that changes. Currently as I write this, I'm replacing slippery elm with colostrum, as I'm on the SCD diet, and slippery elm is a prohibited food. I still see slippery elm as a great gut maintenance supplement though, and at some point, once I'm not so restricted with my diet, I'll likely make it a consistent addition to my gut health protocol. Slippery elm has been proven throughout the ages to be great for digestive health, it's cheap, and can quite often be sourced easily at a local health food store or co-op. Also in most cases it does not have any side effects, so It's a fantastic low risk addition to any gut repair, or digestive maintenance diet in my books. The only caveat being that if you have a dysbiosis issue as I mentioned above, then you may want to hold off on using it, but you can definitely come back to it later on as a great maintenance supplement for your digestive system. Overall, I definitely recommend at least trying out this wonderful age old herb for helping you out with your leaky gut issues, and also trying it for it's other healing applications. It's low risk and worth testing at the very least. What's Your Experience With Using Slippery Elm For Digestive Issues? Have you tried using slippery elm in any form or concoction for helping you to overcome leaky gut? Or do you just use it as a maintenance supplement to keep your digestive system in good working order? Please share your experience with us, as we're all the more effective and useful the more feedback we have on this page! Also feel free to make any comments on the content by commenting below, or you can hit the feedback form found here. Nick, why are you replacing slippery elm with colostrum because of your diet? I see you are on the SCD diet. Can you explain that please? I have used this product with a combo over the years but not alone. My son could use this information for his leaky gut. Are you finding the colostrum works as well, the same or better? That is one natural supplement I have never tried. I Maria, sorry I took so long to get back to you on this one! yeah because I was on the SCD diet at the time (no longer am, but still keep the principles in mind anyway) it basically limits foods depending on the type of sugar that they are made up of chemically speaking, and slippery elm fell into the category of a sugar type we’re not supposed to ingest on the SCD. But I think it’s got some great benefits, I’ll look at using it again in the future. And it’s super cheap and accessible which is always a big win right?! Hi Nick, thank you for the article. How long after eating can I drink the slippery elm tea? I would generally just try have it on an empty stomach, though I’m not sure if it really matters. Empty Stomach = 1 hour before eating or 2 hours after eating in most cases. Hi Nick, I like your pictures, they are very helpful, but I have some comments from my own experience which I think will help your readers. Over the years of taking Slippery Elm powder for IBS, I have discovered that, if I use your technique, I always end up with lumps. So now, I put my Slippery Elm powder into the bottom of my empty large glass, heat my water to drinking temperature, pour it vigourously, over the Slippery Elm powder, then quickly stir vigorously. Using this method I find I usually have a nice smooth drink just like the good picture of yours. While I cannot state for a fact, I would say it’s highly unlikely. Then again, I’m not a Doctor. If you’re worried, how about taking your supps/meds with several hours apart from when you take slippery elm? How long should you take slippery elm for before it heals the gut? And what are some of the side effect one might look out for? I have diverticular disease and I use slippery elm tea when first experiencing any symptoms and it really helps. I am considering just using it before bed as a preventative. I have not found any evidence of contradictions of negative side effects of long term use. Hi there I’ve been drinking slippery elm bark tea for a few days but I feel like the consistency of my tea is not the same as yours. I feel like it’s not much of a gel. And if i let it sit the powder settles. Also I feel like it’s not clumpy? Just more like the powder just settles. I mix immediately after pouring the hot water. How long do you mix for? Thanks for your help! Have you tried a different source of slippery elm? Maybe it’s just a quality issue. As long as you don’t add too much water it should thicken easily. In fact often I noticed it being TOO thick was more of an issue. I make a tea with almond milk or oatmilk and Slippery Elm. 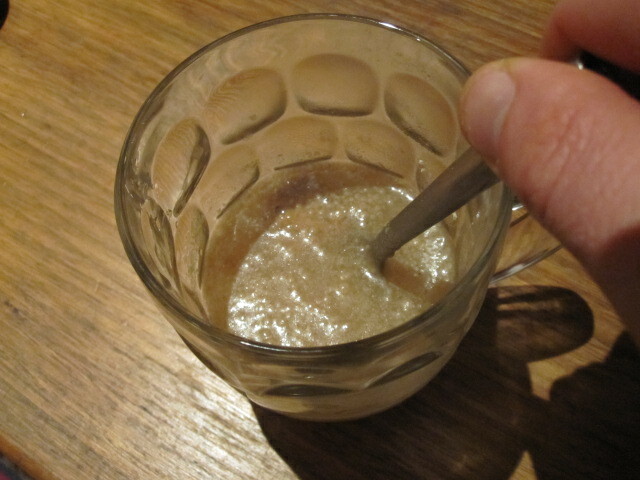 I heat a cup of oatmilk and sprinkle in a teaspoon of SE and use a whisker to stop it becoming lumpy. I heat it all up til it becomes thick and then add a half teaspoon of Cinnamon. 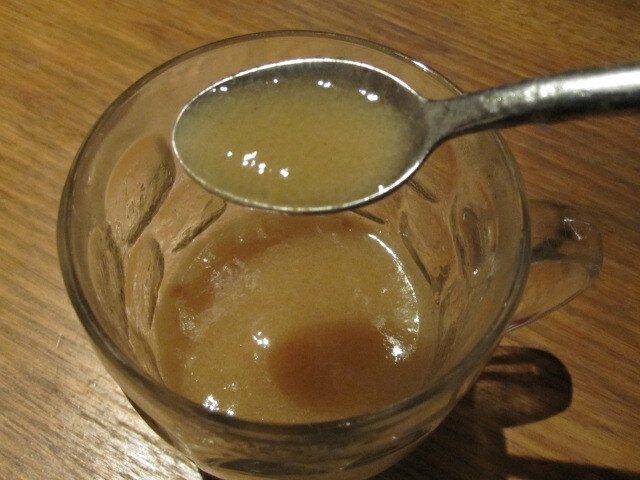 It gets quite thick but is very tasty and easy to drink. I don’t boil it. I find it very good for my bowel and also for an asthmatic cough I get sometimes. It’s a wonderful herb! What do you say to this recipe or do you think it’s best with purified water? Hi, I saw where you said taking slippery elm for leaky gut, but if you think you have imbalance gut flora taking SE could contribute to the problem….i just dont understand if you have a leaky gut, most cases you’re gonna have an unbalanced gut flora too..goes hand in hand…but yet so many people have success with this. So could you please explain what you meant by that?? Id appreciate it, Thank you!